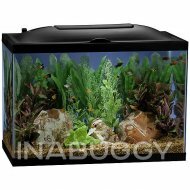 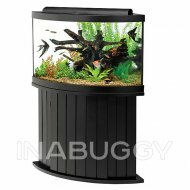 This Aqueon 20HEX LED Aquarium Kit includes everything you will need to establish and maintain a thriving aquarium in your home. 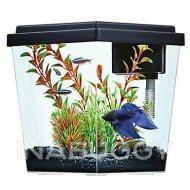 This comprehensive kit features cool white LED lights that actually highlight the natural colors of fish. 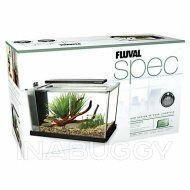 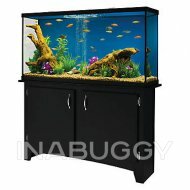 Meanwhile, its six-sided design makes this aquarium an easy fit in smaller areas. 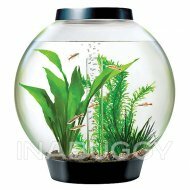 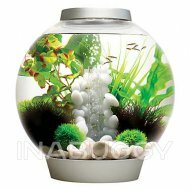 Instructions: Only keep aquarium lights on for 8-10 hours during the day, then turn off at night. 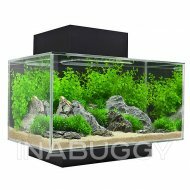 Only change 25 percent of the water once per month.